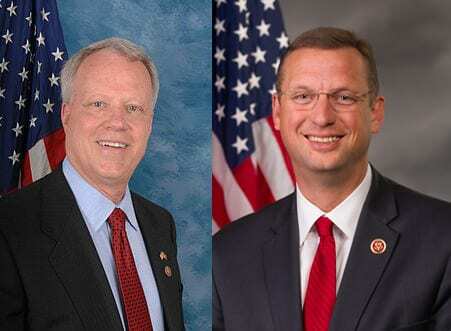 Congressman Doug Collins, Representative from the 9th District in Georgia, is wasting no time going after his opponent, Dr. Paul Broun, former Representative from the 10th District. Broun, along with Roger Fitzpatrick, Bernie Fontaine, and Mike Scupin, has announced his candidacy challenging Collins in the 9th District congressional race. Collins has not acknowledged the other candidates but his campaign released a scorching radio ad about Paul Broun. Narrator: “Career politician Paul Broun. Former congressman Broun’s hypocrisy is bad, but Paul Broun’s repeated abuse of the taxpayers’ money is even worse. “Paul Broun claims to be an outsider. But Paul Broun’s been on the ballot 12 times in 26 years for six different political positions. He’s so desperate to further his political career, Broun’s now campaigning for Congress in a district he doesn’t even live in. “While Paul Broun’s hypocrisy knows no bounds, Broun’s abuse of taxpayer’s money is even worse. In Congress, Broun nearly bankrupted his office budget with an excessive amount of taxpayer-funded mail.And now, former congressman Paul Broun is under a federal criminal investigation into his use of taxpayer money to aid his failed U.S. Senate campaign. The ad is false! I’m a doctor, not a career politician. I have never misused government funds. I am not and have not to my knowledge ever been under a criminal investigation. I would expect a Southern Baptist preacher not to do this (ad). The last time I checked God’s Ten Commandments are still in effect. The 9th says Thou shalt not bear false witness against thy neighbor. Maybe God told Mr Collins that The Big 10 don’t apply to him or his campaign. Since both Dr. Paul Broun and Congressman Doug Collins are Christians it will be interesting to see how much religious mud will be slung during this campaign. « Previous Article EES to Present Fiddler on the Roof Jr.